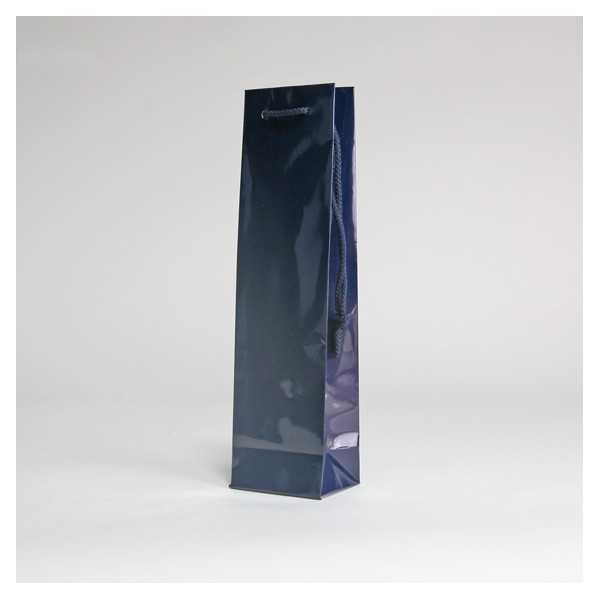 The NOBLESSE laminated paper bottle bag is made from coated 170 g/sqm paper with glossy lamination. It features matching knotted ropes handles along with side gussets and bottom. Upper edges are strengthened and the bottom is pasted and reinforceded. A carton contains 100 units.